How to get rid of deposits, corrosion and biofouling in the cooling system. Water treatment is essential, where water is technically used. In air condition, for cooling engines, cooling processes or heat exchangers. 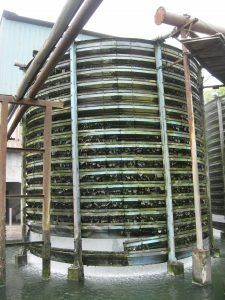 The cooling water is conditioned at the cooling tower or chiller, pumped through a cooling water loop to the consumers. Usually this consumers are some kind of heat exchangers. To make all parts of a cooling water system work perfect together, a good cooling water treatment is required. What is a good cooling water treatment? When physical conditions, like temperature or pressure in a liquid change, also the contained chemical substances change their behavior. To ensure a good efficiency in cooling water treatment it is essential to know, how water and its foreign substances behave under different conditions. If water evaporates, the foreign substances like calcium cant evaporate and remain back in the water. Over time the cooling water holds more solids, which finally will settle and form limescale. These deposits might also cause corrosion, block a pump or pipes and machines. All this might cause immense effort and cost for cleaning. This has to be avoided and cooling water treatment of the complete cooling water system is required. In the last years the cooling water treratment using Merus Rings in water systems, has become one of our core expertise and competence. The cooling water is exposed to the atmosphere, because the system is open to the environment. Open systems have one or a row of cooling towers. Here the evaporation cold of the water is used for cooling. Cooling systems where sea water, river water or bore well water is used for once-through cooling, are also open cooling systems. The water circles in the loop for a long time without being replaced. As the cycle isn't open, the water itself doesn't have contact with the ambient air. The cooling of water is done by air coolers, chillers or other kind of cooling units. Cooling towers are the point where the classical chemical treatment takes place. This Merus can support, making the used chemicals more efficient and reduce the amount needed. A lot of cooling water systems have microbiological problems. We minimize the use of biocide, by improving the efficiency of the biocide. Customers report about astonishing savings of cleaning efforts and the use chemicals. In nearly all cooling water systems our customers face the same major problems. Corrosion, fouling, scaling and deposits. Further algae and thereoff resulting biofouling. All these cause high maintenance costs and might cause emergency shut downs. Traditional for each problem one special chemical is needed. We came across cooling systems where a cocktail of six different chemicals where added. The chemicals has to be continous purchased, the equipment serviced, which all adding to the cooling water cost. Merus is able to adress all kinds of fouling (from corrosion to bio mass) in one Merus Ring, almost independent of the temperature of the cooling water or the surrounding temperature. In smaller cooling systems we install one ring on the return line at the riser of the cooling tower and one Merus Rings at the make-up water. Over time this treatment flush the deposits out of the system. No further or far less cleaning effort is needed. Only monitoring the effect. This means we offer a long lasting solution for a good cooling water treatment. Traditional for each problem one special chemical is needed. We came across cooling systems where a cocktail of six different chemicals where added. The chemicals has to be continous purchased, the equipment serviced, which all adding to the cost. In big cooling systems, sometimes we treat loops with a few kilometer of pipes. 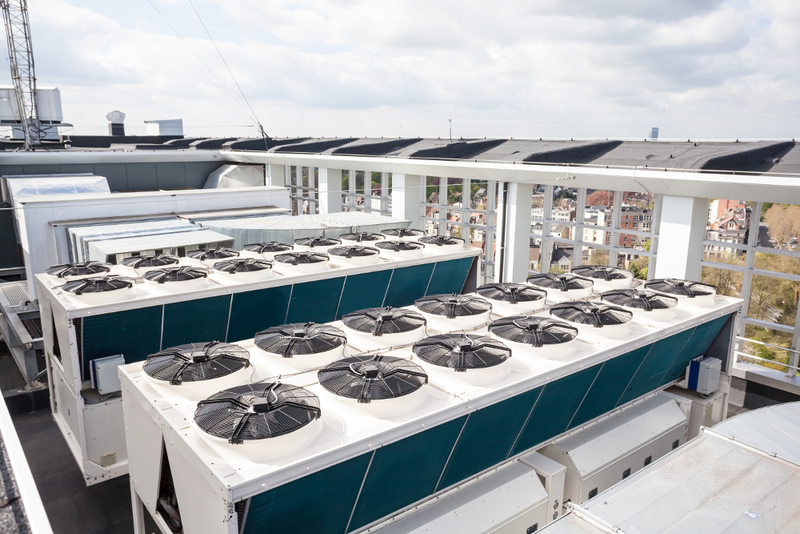 Providing industrial cooling water from a battery of cooling towers to hundreds of heat exchangers and other consumers. There we often have to fight all three major problems, fouling, corrosion and microorganism in the same water system. In these we install Merus Rings at strategic locations, after close discussion with our customer. In case of critical heat exchagers we place the installation direct in the feed line of the critical machine. Whereas in case of less important coolers, we install one Merus Ring after the pump on the common line, feeding several coolers. To ensure the best results we also offer service agreements. They include the proper installation by one of our engineers and ongoing monitoring of the performance. The monitoring is done in cooperation with the customer. Often, existing tools and methods can be used (more). Before installing we will analyse your system carefully, talk about blow down cycles and your processes to give our recommendation for the water treatment. We are interested in the cooling performance needed for your production. By having this close relation and understanding of your needs, we will be able to react fast, if circumstances change. 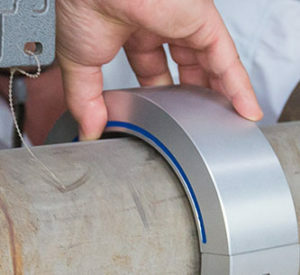 The goal is to find the perfect amount of Merus Rings installed in the ideal places in your system to gain long term success without further effort. By optimizing blow down and stabilizing the performance of the cooling, down-times can be reduced significantly. This saves cooling water costs for the water treatment in many ways.